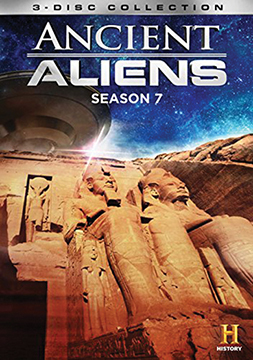 Ancient Aliens: Season 7 takes us further into the uncharted world of astonishing ancestors and phenomenal technological advances. What supernatural lives will be revealed when “Underground Portals” explores the 10,000-year-old prehistoric artwork discovered in a cave in India? Could the face of Giza's Great Sphinx prove to be older than once thought, and what otherworldly being might it actually represent? 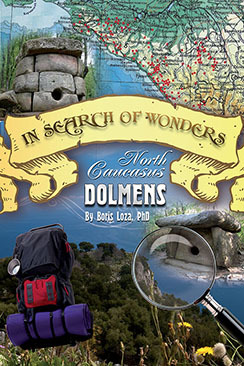 The show continues its exploration of unexplained events and phenomena in this collection that journeys through the Egyptian pyramids, Central American temples, and Earth’s enigmatic caves, offering viewers a detailed account of the mysteries of life that continue to elude us. Includes interviews with David Hatcher Childress, Giorgio Tsoukalos, Erich von Daniken, Mike Bara, William Henry, and many others. Twelve episodes from Season 7 packed onto 3 DVDs.